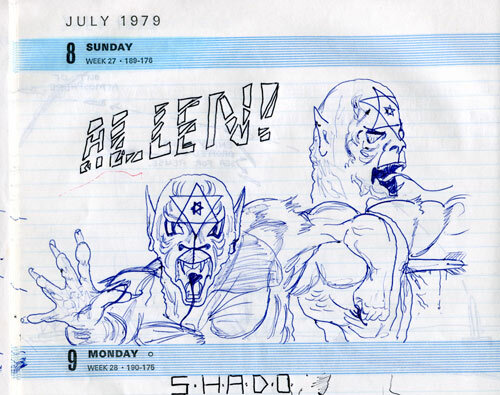 It was a long time ago - back then in 1979, but I obviously knew that I was involved in the creation of a sci-fi classic of classically sci-fi proportions. 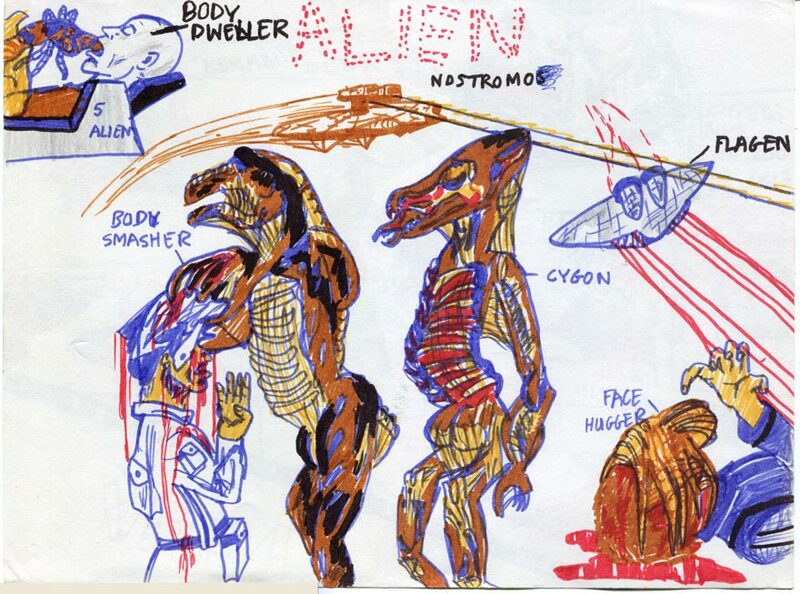 These pages bring to you - from the vaults - for the first time in the history of the world ever - the secret conceptual designs for ALIEN: Sight Unseen. Of course looking at these with your jaded 2012 eyes, you might say; "These aren't conceptual drawings. They were just done by some 11 year old kid who clearly hadn't the slightest idea of what the film would look like - or even be about! I mean, look at them for god's sake." But no, you'd just be very silly. The most cringe-making one of all!